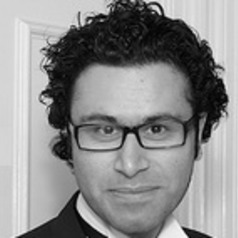 Taha Yasseri is a Senior Research Fellow in Computational Social Science at the OII, a Faculty Fellow at the Alan Turing Institute for Data Science, and Research Fellow in Humanities and Social Sciences at Wolfson College, University of Oxford. He graduated from the Department of Physics at the Sharif University of Technology, Tehran, Iran, in 2005, where he also obtained his MSc in 2006, working on localization in scale free complex networks. In 2007, He moved to the Institute of Theoretical Physics at the University of Göttingen, Germany, where he completed his PhD in Complex Systems Physics in 2010. Prior to coming to the OII, he spent two years as a Postdoctoral Researcher at the Budapest University of Technology and Economics, working on the socio-physical aspects of the community of Wikipedia editors, focusing on conflict and editorial wars, along with Big Data analysis to understand human dynamics, language complexity, and popularity spread.